This class will explore self expression through silk painting. You will use paints, dyes and resists and explore new techniques for using materials. You will create a table runner using paint, experiment with shibori technique to make a scarf and practice using resists with silk dyes. 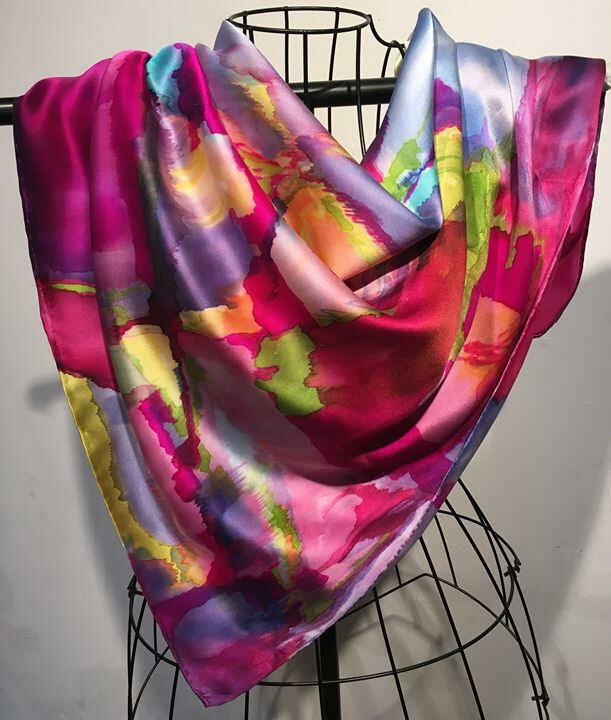 Dawn will be sharing new ideas and techniques from the 2018 Silk Painters International Festival. Silks, dyes and pallets are included. Students should supply gloves, aprons and inexpensive watercolor/acrylic brushes. A more complete list of optional supplies will be provided closer to the date of the workshop.